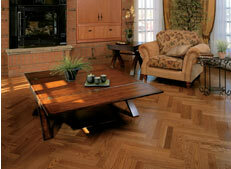 Planks to you is a complete flooring company established in 1992. Based in the Morris County area. We work throughout the state of New Jersey using our special dustless equipment that doesn't pollute your home. We have built and excellent reputation and have many satisified customers that have experienced the quality of our work. Please take a few minutes to look around our site and find out more about why we are the answer to all your flooring needs. Of all the floor coverings offered today,nothing equals the natural beauty ,the simple elegance,the rich character,and the absolute practicality of wood. Call now for you free estimate!! !